Have you ever been really excited about something, bursting at the seams to share your news, but you can’t tell anyone? Me too. Last month my period was nearly aligned with the moon’s cycle. So there I was, feeling like a moon goddess but I couldn’t tell anybody, Guess what? I almost ovulated with the full moon this month! because that would obviously require and in-depth explanation of hormones, traditional cultures, and the rhythms of the moon. And I couldn’t think of anyone in my “real life” who would be interested in that discussion. Fortunately, I think many of you in my blog life will be just as fascinated by this topic as I am. So here we go! 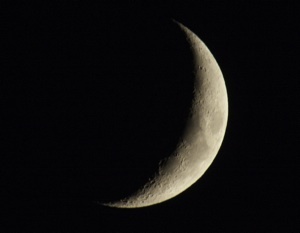 What does the moon have to do with hormones? Women’s menstrual cycles are wired to be in sync with the moon. In all early societies, before industrialism and processed foods disrupted traditional cultures, women ovulated at the full moon and menstruated at the new moon. This is every woman’s intrinsic default setting… this is how we are meant to be. Hormonal disruption, however, causes biological chaos in our menstrual cycle. This is a beautifully complex biology. Though science may not fully understand how the moon ties into our biological systems, we currently know that the moon cycles play the key roles on earth, such as controlling the tides. Humans are intrinsically connected to Mother Nature, and I believe, as science progresses, we will get more and more glimpses into this uncomprehendingly complex connection. Random and uncomfortable periods are the effect of a diet and lifestyle that disconnects us from the rhythm of nature. Modern living means that most women abuse their bodies with various chemicals, antibiotics, prescription medications, The Pill, extreme emotional stress, the stress of over-exercising, refined foods, and more. We can apply the lighting patterns of the moon to our own bedroom to re-align our cycles with this intrinsic pattern. In this way, we create regular periods and balance our melatonin production… two key ways to balance hormones. You’ll notice more energy, easier weight management, less PMS symptoms, and more. Oh, and a quick note about melatonin: melatonin supplements will not support balanced hormones, instead these supplements throw off the body’s negative feedback system and exacerbate hormonal imbalance. I believe a diet and lifestyle that supports healthy cycles (I wrote all about that in my book Quit PMS) combined with the night lighting method described below has the potential to improve or even fully correct all types of female hormone imbalances, including polycystic ovarian syndrome, infertility, painful periods and more. Who can benefit by cycling with the moon? The concept of manipulating light to regulate one’s cycles was first published in the 70’s by Louise Lacey in her unique book Lunaception. The paper book is now out of print but you can purchase the digital version (for only $10) on her website. First, I highly recommend that you learn how to chart your cycles. Your body gives you clues to tell you where you are in your cycle. These include vaginal discharge, body temperature and cervix position. By recording these factors according to some simple rules, you will have a guide to predict when you are ovulating (the days when you can become pregnant) and when you can expect your period. 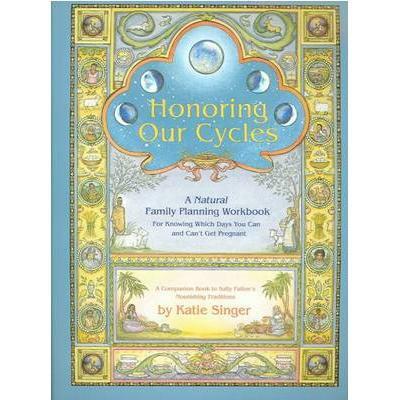 A wonderful resource explaining how to chart your cycles is a workbook called Honoring Our Cycles by Kate Singer. For more tips to create a pain-free, symptom-free period, see my book Quit PMS. This lighting technique, however, will help regulate your cycles and balance your hormones even if you choose not to chart. Now, it is time to adjust the lighting – the key to Lunaception. Create a completely dark environment in your bedroom. For me, this entails tacking down the edges of blackout curtains around my window, so no light can seep in. You can also put garbage bags over the window. Also, put a towel over the crack at the bottom of your door. Once the lights are off, you should not be able to see your hand in front of your face. A sleep mask is not a suitable substitute, although it is better than nothing if you are traveling. The idea is that the body senses the light of the environment through other openings, such as the ears or nose. It you take bathroom trips during the night, put a red light bulb in the hallway and your bathroom. The red light – just like firelight used in traditional cultures – will not trigger early ovulation. Sleep in complete darkness until it is time for the three days of night lighting. I’ve heard it recommended to sleep in complete darkness for one to two months prior to night lighting, to help “reset” the body. After you have two days of [vaginal] wetness, on the night of the second day, sleep with a light on in your room for three nights… After three nights, go back to sleeping in darkness for the rest of your cycle. If you are not ovulating and have not bled for a month or longer, first sleep in complete darkness for 12 days. Then sleep with a light on for the next three nights. Then go back to sleeping in darkness for two weeks. Continue with this pattern to encourage healthy, ovulatory cycles. And the night after the full moon. You can use this method of night lighting even if you don’t want to track your cycles (although I recommend that you do!). I was eager to share this information although I’ve only had a month and a half of experience with night lighting. I had been sleeping in complete darkness for at least three months before starting. 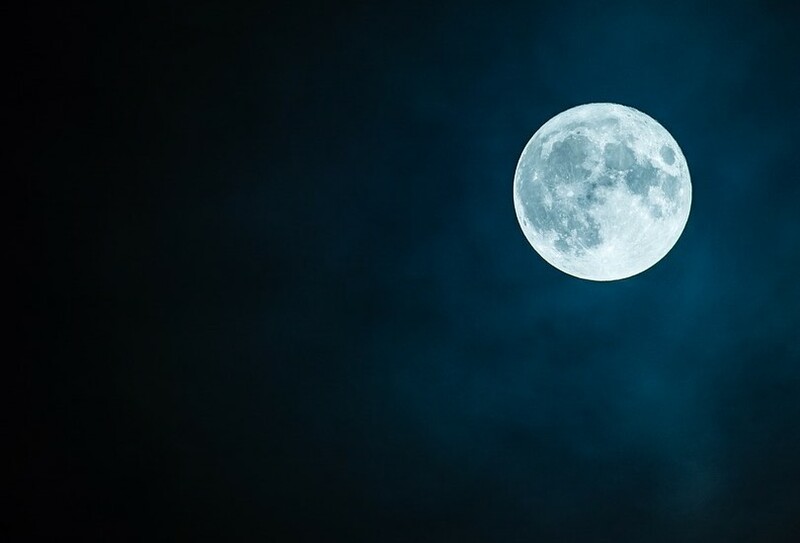 The first month I practiced the night lighting during the three days around the full moon, I couldn’t be sure that I ovulated during the full moon, since I am still trying to get the hang of reading my charts. My cycle was, however, exactly 28 days for the first time ever and my period began just three days away from the new moon. My periods are already pretty tame because I implement the tricks in my book, but I was excited that my cycle was the exact 28 days. I look forward to steadfastly continuing with this night lighting method! Are you interested in regulating your periods and balancing your hormones with night lighting? I just started moon lighting according to this article.. slept in total darkness for 2 months first yesterday had light and tonight is full moon and i just started! How do i flip my cycle around? Do i just stay on the path? Could you also just open the curtains the day before, of and after the full moon rather than using an artificial light source? Of course! I imagine this is the natural method! Excellent article! I am eager to learn more on the subject of lunarception. Interestingly, I checked when the new moon was and it turns out that my last 2 cycles were (within 24 hours both times) totally aligned with the new moon (period) and full moon (ovulation). This is super encouraging and I’m excited to keep track. I have never practiced ‘night-lighting’… my body seems to be aligning naturally, but this is a great technique if I ever need to tweak it such as after long-haul flights (a regular occurence for me, unfortunately). Same here! I just checked and I’m naturally perfectly aligned! I am menopausal and have been taking meds for insomnia for far too long. I am going to try the blackout without any nights of light and maybe it will help me get off meds. I have seriously low hormone levels too. That’s really interesting! After I read this I went back and looked at the calendar and the Moon Phases Calendar and sure enough, I ovulated during the Full Moon. It’ll be interesting to see if I start my period around the New Moon. Is anyone here aware of a lunar calendar which also shows typical hormone fluctuations? I am currently nursing my 10 month old daughter, and my cycle has returned. I have always experienced irregular cycles, and I’m grateful I was still able to conceive. Since the hormones play a huge role in nursing, when would it be a good time for me to begin incorporating these practices? I’ve had two cycles so far while nursing and they are 44 days apart, so I’m hopeful this will work for me. Yes, you can definitely start Lunaception while nursing.